How Much Time Should You Take to Plan Your Wedding? As you know, there is no time limit on how long you can be engaged. Whether you’re engaged for six months or six years, your wedding day is when you and your future spouse are both ready to say your vows. The thing to remember is that you do need a considerable amount of time to pull off a memorable wedding day. Planning a wedding is not as simple as some people may think. Should you hire a wedding planner? How long is the guest list going to be? When do you need to reserve a wedding reception hall in Northwest Indiana? Once you start, the list of important tasks seems to grow and never end—that is why organization is key. So, just exactly how long should you take to plan your wedding? Read on for some advice and a wedding checklist! At this stage you should be celebrating your engagement, researching wedding vendors, setting a budget and choosing a wedding venue. After announcing your engagement, have an engagement party with the people closest to you. After celebrating, plan to sit down with everyone who will be involved in the financial aspect of your wedding. This is the time to set the budget for your wedding so you can begin making a list of your top wedding priorities. Now, think of whom you want to invite. Creating a guest list early on means you can start collecting mailing addresses to send out save-the-date cards and wedding invitations. You’re excited, so you’ll likely want to begin doing some wedding research right away! If you want help planning everything, your first search should be for a professional wedding planner. This individual can save you time and energy throughout the entire planning process, right up until the last minute of your wedding day. Next, make appointments to meet with wedding vendors. Write out a list of vendors, starting with the wedding products or services that are of highest priority to you and your future spouse—for example, the wedding venue, photographer and wedding reception hall in Northwest Indiana. Also research and schedule meetings with bakers, florists, videographers, caterers and entertainment companies. Gather your bridal party and groomsmen together! Ladies, get the girls together and start looking for the perfect dress. Guys, get started on the bachelor party! These are just some of the things that take priority in the first couple months of the wedding planning process—and plenty more is to come! 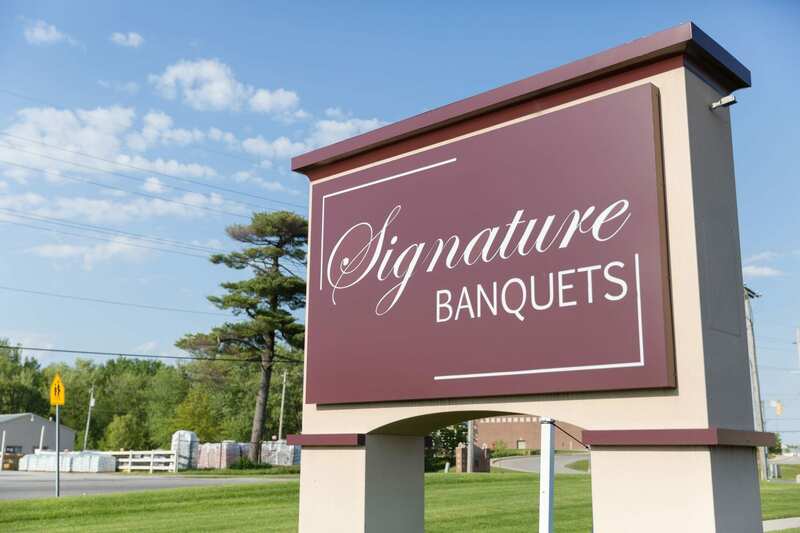 If you want a professional wedding planner, a wedding venue or a wedding reception hall in Northwest Indiana, look no further than the wedding event experts at Signature Banquets. Call us today!